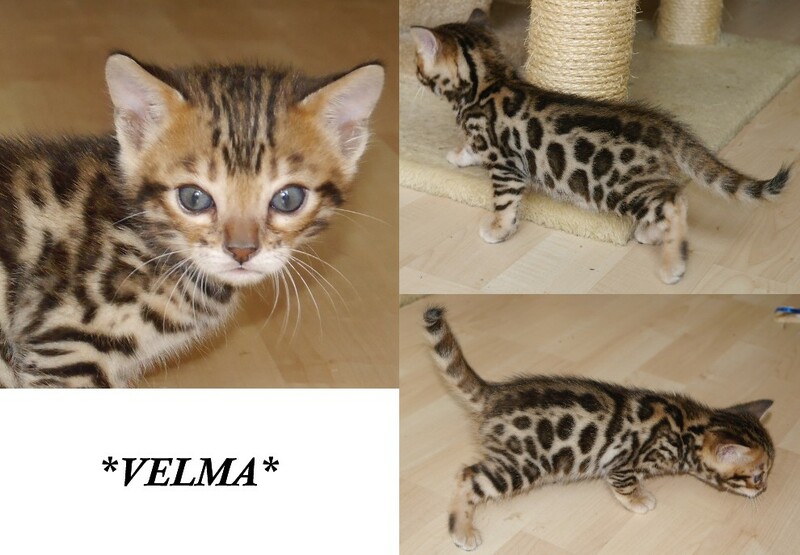 Velma is now available as pet or breeder! Ready to leave me 8/29/15. She is a donut rosetted brown Bengal with many great qualities! Parents PK def neg/HCM negative. Here she is! 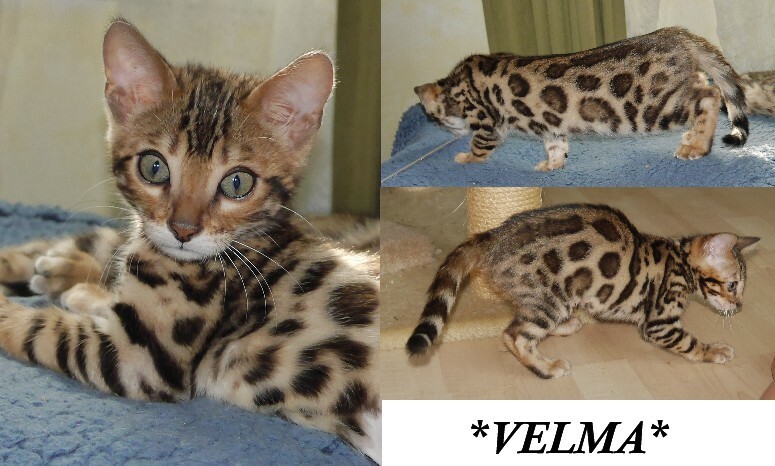 Velma is a beautiful donut rosetted brown Bengal. Though it’s difficult to see in the video (because of the lighting) but she is very glittered! Currently in her fuzzy stage, so she will only get prettier. 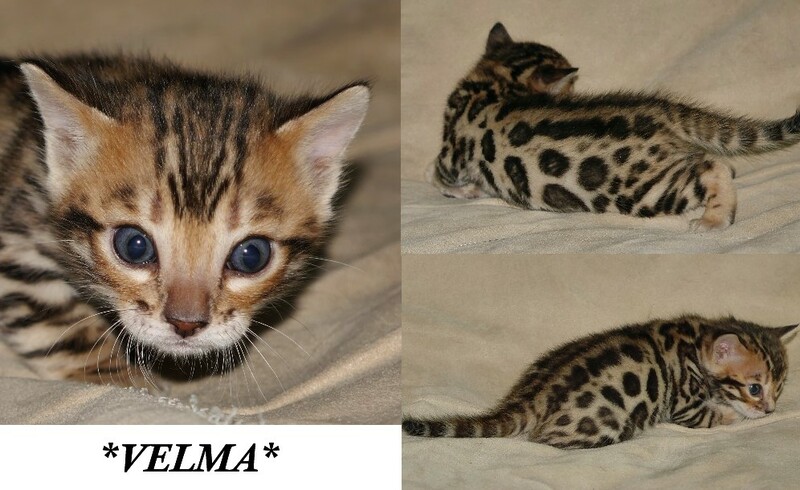 Velma is just as sweet as she is playful. As she continues to mature, she will have very strong color and contrast. The orange that is in her face will continue to come into her coat as she matures. 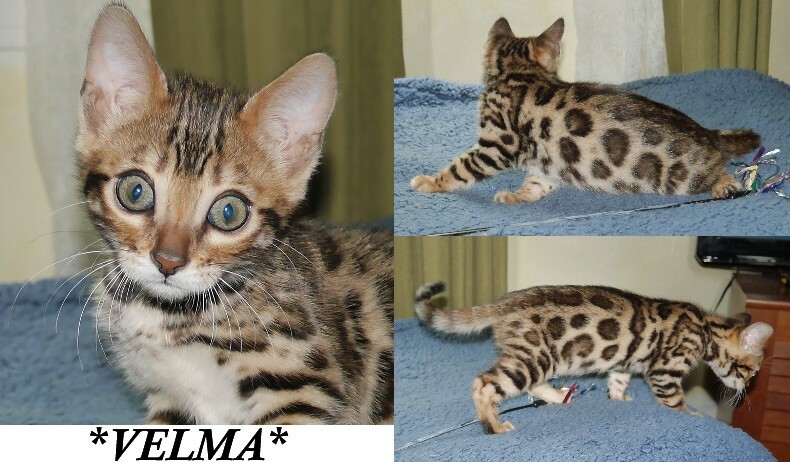 This entry was posted in Bengal Kitten Gallery, Gallery and tagged bengal kittens, Donut Rosetted Brown Bengal. Bookmark the permalink.